The difference in spring angle between the Standard Base Units and the Fast Angle Base Units (FA Models) is illustrated by this photo of the 10 and 10FA (fast-angle). 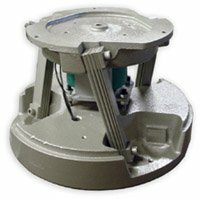 The Model 5 Vibratory Feeder Base Unit is designed for vibratory feeder bowls between 6 and 10 inches. 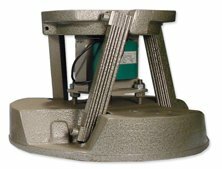 Our Model 15 Fast Angle Vibratory Feeder produces a higher degree of linear movement than stand feeders which results in a faster and smoother feeding pattern. 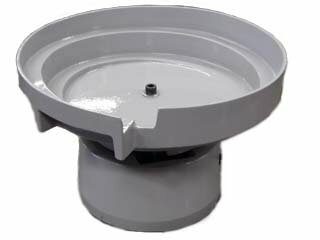 The model 10FA and 15FA fast angle base units feeding applications offer a faster and smoother movement. The spring angle is changed from a standard 25 degrees.